Rachel Bloom attends Vulture Festival Los Angeles 2018 at The Hollywood Roosevelt Hotel on November 18, 2018 in Los Angeles, California. Rachel Bloom teamed her 'do with a pair of gold disc earrings. 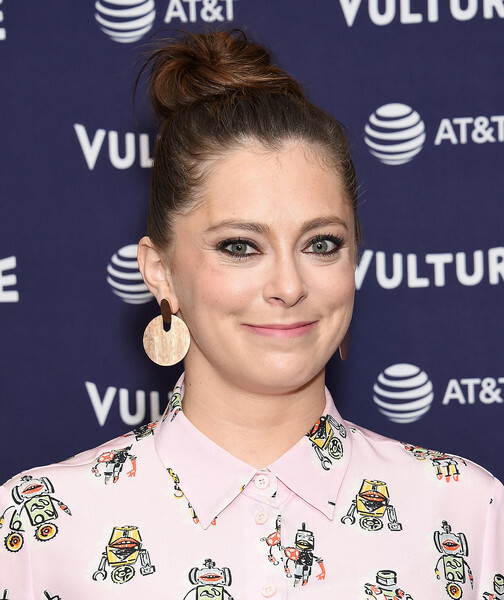 Rachel Bloom swept her hair up into a top knot for the Vulture Festival Los Angeles 2018.